Depends on its age. How its been maintained. Whether you live in a country where you can find parts easily. They are a low performance, reliable engine, that will run and run providing you keep supplying water, oil and fuel on a regular basis! - Leak oil around the rocker cover gaskets and half moon seals. - Oil bypasses the valve stem seals - hence nice puffs of blue smoke if left idling too long, or sometimes just lots of blue smoke all the time! - They do have a tendency, if left sitting in storage for long periods, to corrode and then leak from the welch (core, freeze or frost) plugs. - Blow the head gasket between no 3 and 4 cylinder due to poor maintenance. 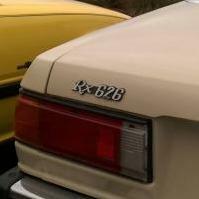 Hey mate, get on to the RX626 FB page. Aussie page and it's for any RWD 626. Heaps of stuff available in QLD!